The British Infantry set, clearly older, had a separate equipment sprue - I liked that. But my chief complaint with that set is that it's designed so that their entrenching tools (pickaxe and spade) are attached to the outside of the backpack - when it should be worn inside, between the backpack and the soldier's back. I hollowed out some packs and cut the tool handles to fit properly, but it was a lot of needless work to get the King's army properly dressed when Warlord, being British themselves, ought to have done it right to start with. I mean, the sets aren't terrible and the cost isn't outrageous, they just seem beset by odd and unfortunate design choices that IMO limit their utility. I know it is threading into a grey area, but in this case I would use some Instant mold to create a few more canisters and tools. If they would sell these separately I wouldn't consider this, but I think they just didn't include enough for the whole kit from what you say. The quality will be less, but for tabletop purpose it might help. Like I said, not a gamer but I have been looking at these to flesh out my Conquistadore Army in my Lost World. @Glitterwolf, I've got that boxed set and it's a nice bit of kit. I wonder how the weapon ratios would work for forces fighting outside of Europe. Then again, if I was up against a T-Rex I'd want the longest pike I could find. Since it's a Fantasy project I don't worry too much about historical accuracy, I try to use historical facts and names and all that, but in the end a pike or cannon more or less won't hurt much. Unless you're on the receiving end of course..
What was the issue with the Warlord Pz IV Exhaust? I went & looked at the pictures & the exhaust looks pretty typical for this tank. The bigger issue seems to be that, like a lot of historical models, it doesn't build into a quite accurate model of anything (the PSC Pz IVs in 15mm suffer from the same issue). The F version lacks the smoke grenade mount on the hull rear, & the H version still has the split commander's hatch (one-piece hatches were incorporated in the late-G models), the turret would need to remove the side visors & the auxiliary turret face visor in order to make an accurate G or H, etc. I don't know if the instructions specify these differences, but usually wargamers just don't care enough about those details. The Warlord StuG IIIG is, to be fair, an early G produced in early to mid '43, so lack of a saukopf isn't as much as an issue if you build it as it comes in the box (assuming of course accuracy is at all a concern for you). One note: the promo pictures show the MG shield up with an MG mounted. IIRC the shield could only be deployed when the loader hatches were open... there was a hook on the forward hatch that engaged the shield to act as a support to keep it up. I see a lot of models built that show this deployed but it could not stand up on its own... the hatches MUST be open to model accurately. FYI. The Warlord StuG IIIG is, to be fair, an early G produced in early to mid '43, so lack of a saukopf isn't as much as an issue if you build it as it comes in the box (assuming of course accuracy is at all a concern for you). I could perhaps clarify that I would like for it to be a later StuG that would allow for a saukopf. This is more aesthetic than anything else, I just like the look better. So I would prefer if Warlord made (or had in addition to the current StuG) a later variant. That said, I wound up with this one as an unboxed cheap deal so I'm not too bent out of shape over it and if I'd been looking for one at full price instead of as an opportunity purchase then I would have looked around more. But, since I have you here, what distinguishes early from late StuG IIIgs? They all pretty much look the same to me, so I don't know what the tells are. That's more trouble than it's worth, really. For now I just distribute the equipment more to fire support squads and let the assault squads travel light. This seems the best present logical compromise. Although now that I think on it, I believe the Sdkfz 251/10 sprue from the starter set has 2-3 leftover gas mask canisters that I could use. I don't know for sure about the Germans, but gas mask canisters for most armies in WWII tended to suffer very high rates of combat damage (scratched paint, for instance) that resulted in their being left along the sides of roads. But... but how are you supposed to carry your lunch? A good soldier lives on patriotism ! ...and in @Glitterwolf's case, doggie treats. StuGs, like any piece of WWII equipment, is a study of evolution. The G model entered production in December 1942, though this kit is not that model (this very early G had the fighting compartment ventilator on the compartment roof, rather than the rear wall), so this would be a spring '43 production. 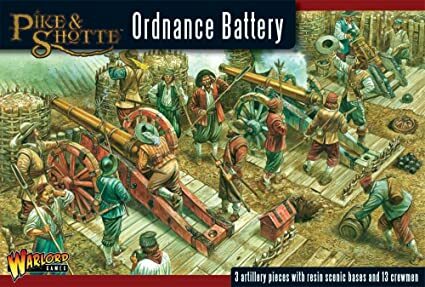 Some of the features to look for include the smoke grenade launchers on the fighting compartment sides (which were discontinued in later production models, when they were replaced with an internal grenade launcher that could fire both close-in Apers grenades as well as smoke grenades IIRC). The external smoke grenade launchers tended to catch on fire when damaged in combat. The other distinguishing feature is what appears to be applique armor on the hull nose. Early Gs were produced with 50mm armor in these areas, just like the preceding F model. 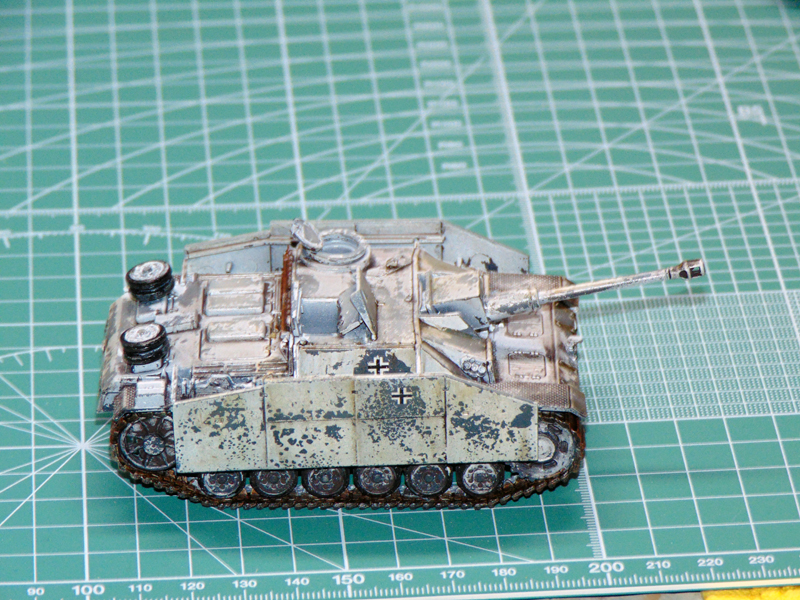 Bolt-on 30mm plates were added to make the frontal armor 80mm. Later production runs had the base armor built at 80mm. This model also is remarkable in that it lacks Zimmerit, which was added late summer '43 until September 1944. So out of the box it wouldn't be a vehicle produced later than around August 1943. Some other distinguishing features: the kit has skirt armor, which was not implemented until March 1943, so assuming this is not a rebuild, the vehicle would have to be a post-March '43 production. So it would ONLY be painted in Dark Yellow (No grey Gs with skirt armor...even if a rebuild this would have happened during an overhaul & would get a fresh coat of paint). All of this IIRC. I'm working from memory. Tanks are my specific & particular interest. Ask me questions! Another note: the block mantlet was kept in production till the end of the war. Late model Gs with the remote weapon station in the loaders position, travel lock & coaxial MG-34 had a hole drilled in the block mantlet for the coax. The block mantlet was available for both the StuG IIIG & the StuH 42. I like the StuG IIIGs, but I like the StuG IV much better (I build 1/35 scale armor models; I have 3 StuG IVs & only one StuG IIIG, though I do have a StuG IIIF L/43 & a StuG IIIC rebuild with an L/48 that I haven't started yet). I'm ambivalent about WWII skirmish games because a lot of the figures are suspect (as some of the comments in this thread indicate). My pet peeve is German infantry without bread bags! A distinctive piece of kit for the German army, that is noticeable in its absence. Some companies sculpt them on, others don't. But admittedly I haven't been looking very hard recently. I also like the StuG IV better, StuG IIIs came my way first in Flames of War (Open Fire Starter) and then this Bolt Action one that was a bagged deal (like $10, IIRC). But prior to stumbling on them, I built Tamiya and Italeri StuG IVs in 1/35. This may be why I'm partial to the Saukopf, actually. You may be happy to know that while the german grenadiers are short some equipment, they do seem to have their breadbags. Which I guess also answers the earlier question about what to do about lunch. Thanks for the info on the StuGs. I didn't choose the StuG Life, the StuG Life chose me. They banned me from a German wargaming forum for being a heretic and painting my STUG in GRAY. And the reason for that is: I wanted to paint it in gray. And every time I feel like I have to paint a tank in a color that suits my liking, I will do that again. I mean, in the end it is a game. After I started working on my Soviet Russian girls, I soon noticed that I missed some usable terrain. So it was time for me to start making some. Luckily I am a person full of ideas and dreams and melancholy. So I remembered back in the days when I was young, I played a game called "Blitzkrieg". First off I have have to prepare some boxes to later have a good foundation for the blanket. The first three figures are done. C&C are welcome. Next group is already on its way. Some of you already know my Roza Shanina build (Check here ->Let's present ... Roza Shanina<-) and my Russian tank commander and tank rider build (Check here ->Painting female Soviet tank commanders and tank riders<-) and some might have noticed the little glimpse of what I was working on at the headswap topic (check ->here<-). But now it is time to present the project as a whole. As at the the time I started the project my sculpting skills were far inferior to what I am able to do today, I needed some plain surface for sculpting female attributes onto the body. Luckily Warlord Games had just released a number of Soviet Russians in winter clothing, so I took the opportunity to get me a box of them and started working. Unfortunately the heads I wanted to use were unavailable so I began working on the bodies alone. Not a problem for me. I am running around headless most of my time, so I know what I am doing. After having cut out and cleaned the bases, it was time to go onto the bodies. Using some greenstuff it was rather easy to make males into females. And luckily there are a lot of reference pictures of real female soldiers in WWII. Yeah - well. Those who know me know that I normally reject reality and substitute my own. Therefore - mixed real and anime approaches to make the girls visually appealing on a greater distance. In any case Friday evening was a learn to play event. We started with 4 people who split up my Italian and Ethiopian forces. Later on a couple other guys came and watched us go through the game. An Ethiopian officer leads an outflanking maneuver. The Bersaglieri take what ends up being an over exposed position on top of a hill. In the foreground the askaris move through a false banana plantation. In the background the Italian armored car is having a tough time after being hit by Ethiopian artillery. In the end the Ethiopians won in a landslide, which I found to be gratifying. While we were playing a young kid stopped for a minute to look on. I asked if he wanted to stop by later and he gave us what sounded like a sarcastic "yeah, I will". However he did drop by! It was his first miniatures game so we just threw a few units onto the table and had at it. Since he had eaten spaghetti but never any injera, he took on the Italians. He had a good time and dropped by to have a look at our tourney battles a few times on Saturday. even if it isn't very good in Bolt Action. I have no idea how we would have decided who to give that to. I think the Germans brought 6 Hanomags 251s between them. decimated for being too tightly grouped around the white building close to the center of the pic. artillery and heroically run up and onto the bridge to try and stop the Germans from stealing the cattle. It was promptly destroyed by the captured armored car next to hut. Some marines moving across Ethiopia and getting ready to win the tournament. They also got the best painted army award. I did not win the best able to focus his phone camera award. make any rulings. Even when I showed off the true power of rolling 6's while bringing in off board artillery, everyone was having a good time.